Display of winning app video on House.GOV, Certificate of Excellence. Each Member will award additional certificates based on their criteria for other finalists. The contest is now closed. Thank you for your entry and good luck during the evaluation and judging phase of the contest. As a reminder, each Representative will independently evaluate the entries and select the winners for his or her district. A few Representatives have elected to extend the competition deadline for the students in their district. Your Representative should have already contacted you directly if they elected to extend the competition. This Challenge Post site will continue to accept entries until May 31st at 11:59 PM to accommodate students in districts where the contest has been extended. For all others, the contest is now closed. Contact your Representatives directly if you have any questions about the deadline or the process for evaluating entries. This year marks the first annual Congressional Science, Technology, Engineering and Math (STEM) Academic Competition, the “House Student App Challenge.” This new challenge is designed to engage student’s creativity and encourage their participation in STEM education fields. Established by Members of the U.S. House of Representatives in 2013, this challenge is a nationwide event that allows high school students from across the country to learn by creating and exhibiting their software application, or “app,” for mobile, tablet, or computer devices on a platform of their choice. Throughout the challenge period, participating students will be provided opportunities to engage with various STEM educational partners located within the community to mentor and assist them with their app development. The “House Student App Challenge” is open to all high school students in participating districts. Students entering the competition must submit their app’s source code online during the Competition Submission Period between 12 PM Eastern Standard Time on FEBRUARY 1ST, 2014, and 11:59 PM Eastern Daylight Time on APRIL 30TH, 2014, as well as provide a YouTube or VIMEO video demo explaining their app and what they learned through this competition process. 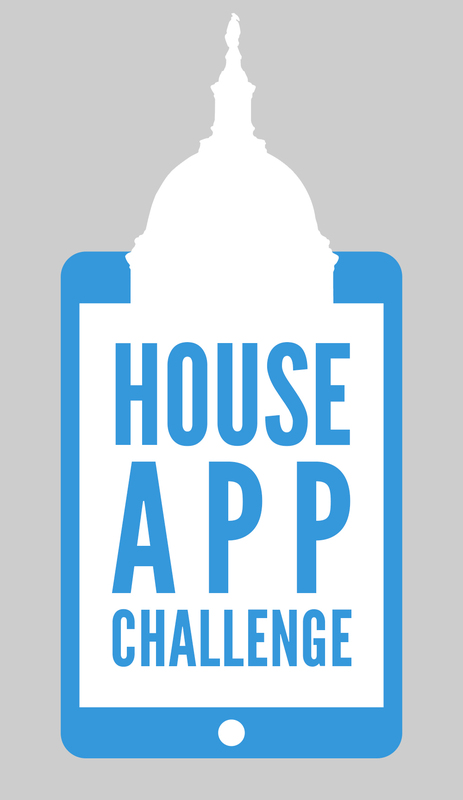 The “House Student App Challenge” is open to all high school students in participating districts. Students entering the competition must submit their documentation online during the Competition Submission Period between 12 PM Eastern Standard Time on FEBRUARY 1ST, 2014, and 12 PM Eastern Daylight Time on APRIL 30TH, 2014, as well as provide a YouTube or VIMEO video demo explaining their app and what they learned through this competition process. The Challenge is subject to all applicable United States federal laws and regulations. Participation constitutes entrant’s full and unconditional agreement to these Official Rules. Each Member of Congress determines if they will hold a competition in their district in 2014. This challenge is open to high school students age 13 or older who live or are eligible to attend public high school in the Congressional district of a participating Member. To determine if your residence or school is in a participating district go to http://studentappchallenge.house.gov/ and enter your home or school address. If your Member is participating the site will take you to a page to register with the Member's Office. Each participating Member of Congress will appoint judges for their contest. Please contact your Member’s office for this information. Entries will be judged on quality including creativity and originality. Implementation of the idea (including user experience and design. Demonstrated excellence of coding and programming skills. Note: Members may elect to have a design only portion of the contest. In that case entries will be judged on the first two criteria. Contact your Member to see if this option is available.